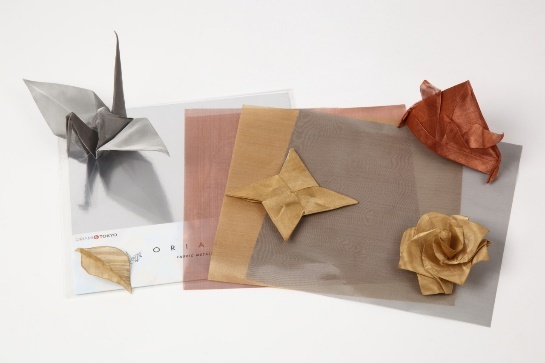 The world’s first 「ORIGAMI」 made from wire mesh! 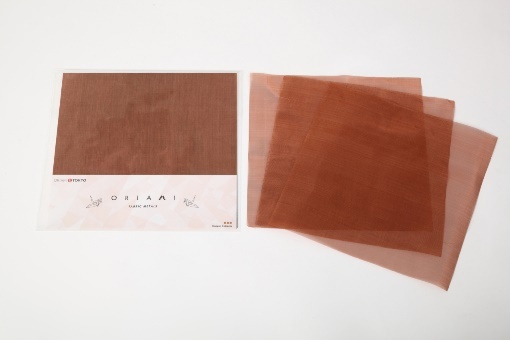 The 「ORIAMI」was discovered by chance during the R&D of some industrial wire mesh, It has been commercialized. 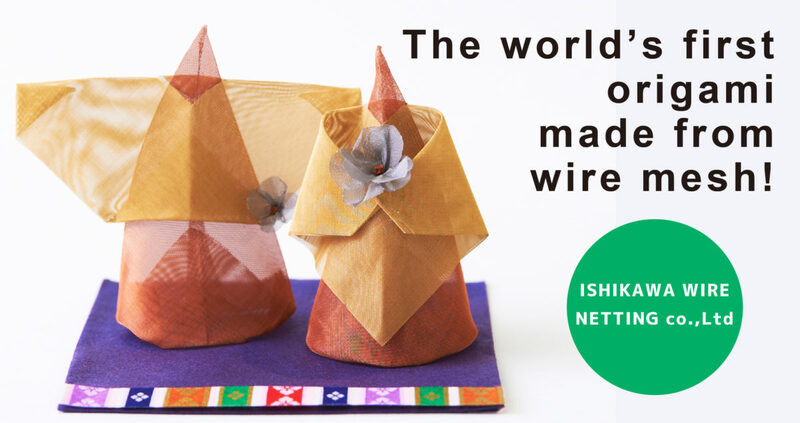 ISHIKAWA WIRE NETTING Co(IKK), is the only company in the world which can produce one of Japanese traditional artistic paper crafts called 「ORIGAMI」using wire meshes. 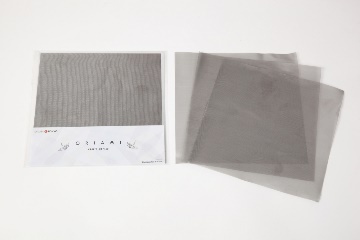 One such unique product which can prove our company’s skill is「ORIAMI」. 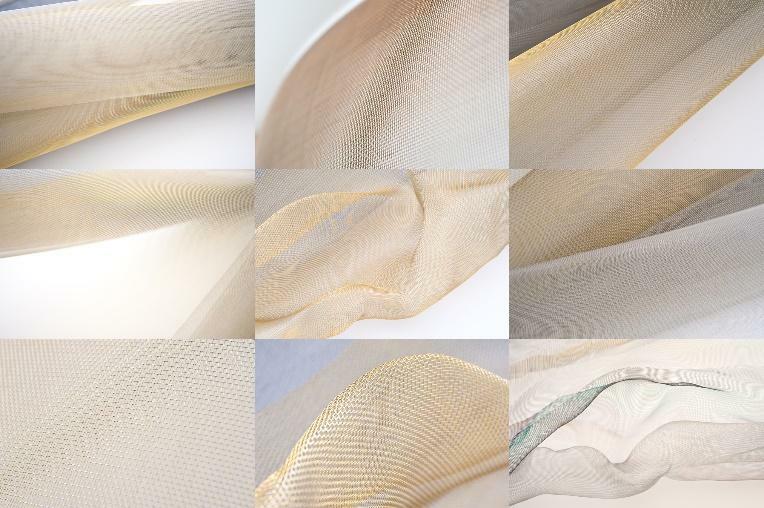 In Japan, companies from diversified fields order the custom-made mesh wires from IKK Co.
After the launch of this 「ORIAMI」 , it became popular and well known with being introduced on a lot of TV programs and sold online. And it is really impressive for people overseas whose hobby is creating origami crafts. There are several other applications other than “ORIGAMI”, like handmade accessories, objects, interior etc. IKK Co, specialized in a wire mesh industry was founded about years ago in 1922. In those days, Japan was shifting from the era of ‘Bushi'(Samurai) and the Western culture was attracting Japanese civilians. Japanese people who used to be living in those times felt that everything from the Western culture was luxury and new. 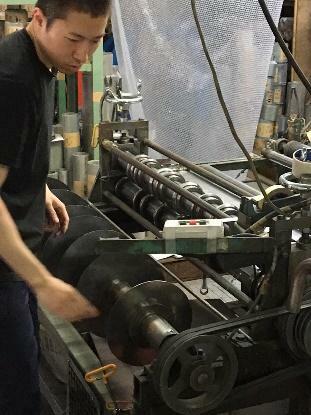 Following that trend, IKK Co., in local districts of Tokyo, has continued to develop and manufacture until today, all kinds of wire mesh products by adjusting their products to the trends of each period. Now, this company has lots of its own skills and products to create. Most impressions of wire mesh are its use for industrial products due to its hardness. This 「ORIAMI」, which is made of wire mesh material, was coincidentally created while developing a new technique using industrial mesh wires.. Despite the material is feathery, it can be firmly folded. A magical material it truly is. When a skilled craftsman was making a 「Paper crane」with “Kanaami” wire mesh, by chance in the same way as when making 「ORIGAMI」, he discovered this amazing art craft. Moreover, the R&D has been strengthened over the past years, and many new materials have been developed, It developed into an original product that IKK Co, is the sole maker of. 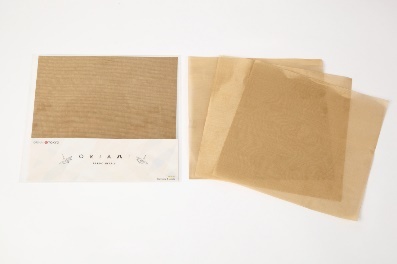 Since this 「ORIAMI」’s material is metal which differs from paper, it is waterproof. And after folding, its shape can be kept by the effect of shape memory. What’s more, it can semi permanently keep its shape. In addition to that, you can enjoy the change of its color due to its property being metal. If you spray a coating for matte, you can prevent it from changing color. Anyhow, even though it’s metal, it’s the only material in the world that can be folded like paper. About a 100 years have passed, the accidental product that was created from the continuous improvement of techniques, 「ORIAMI」, is now being spread around the world with the help of about 30 employees. 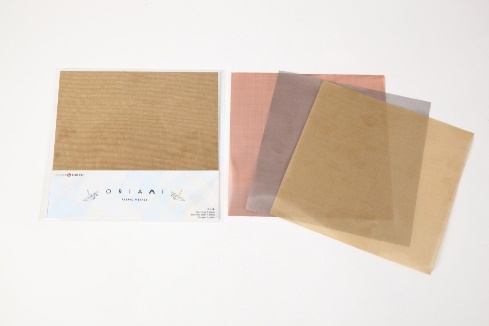 Through each worker’s involvement, we are now releasing 「ORIAMI」 to the world. This is how the Japanese technique is passed on to each consecutive generation. Using the 「ORIAMI」,which has infinite possibilities, you can leave a semi-permanent artwork for your children. It’s the same way you make paper origami, as explained in Origami books. Surely, you’ll be able to make an heirloom.